This offering is not so much about Americans abroad as it is for my admiration of any artist who can work in pastels. I’ve mentioned in previous posts how I always longed to become proficient in the medium. It is considered a painting medium, because pastel is a ground pigment suspended in chalk and gum (mixed with a little bit of water or oil) instead of oil. It is worked the same way as oil painting, from the dark underpainting to light. While many think of it as a drawing medium like chalk, believe me, it is not that easy. I’ve tried it and ripped up all of my attempts. I’ll stick with true oils! However, I still love what other artists have achieved with this medium. My fascination with Charles Caryl Coleman, aside from his mastery of pastels, is the fact that he shared a viewpoint about art prevalent in the mid to late 1800s in both Europe and America. It was the idea about the “superiority”of the art of the Renaissance before Raphael (1483–1520, Italy). Some art historians call this taste “Pre-Raphaelite.” I call it an academic movement that perpetuated the western ideal of the “supremacy” of ancient Greek and Roman art that was so dominant in the 1800s. Coleman was born in Buffalo, NY. Unlike his contemporaries of the Hudson River School, he was among those American artists who gravitated towards European schools. He would be the second generation of American artists to do so, the first including Benjamin West (1738–1820) and John Singleton Copley (1738–1815). He was not affected by the Impressionist tendencies of some Americans who studied in Europe, namely Childe Hassam (1859–1935). Coleman intially studied with the academic painter William Holbrook Beard (1824–1900) in New York. Coleman moved to Paris in 1859, where he studied under the artists of the Barbizon School, a group of realists, many of whom painted outdoors. 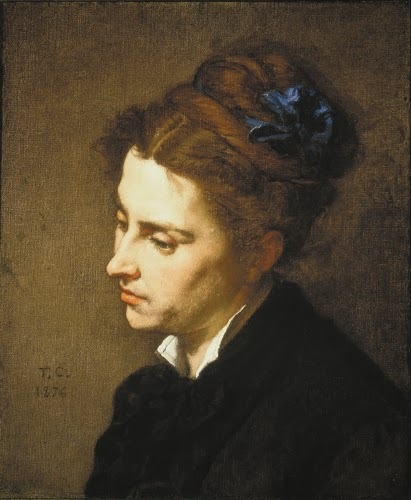 One of his teachers was Thomas Couture (1815–1879 France). 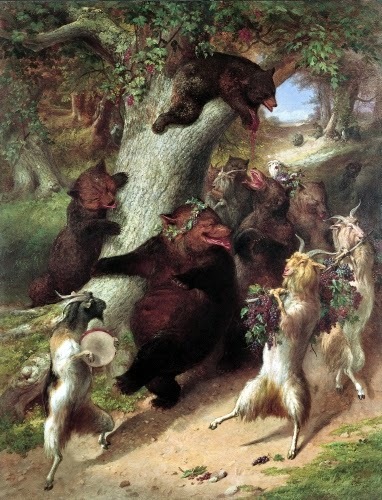 He also painted with the American Elihu Vedder (1836–1923). After serving in the Civil War (1860–1865), Coleman returned to Europe, eventually settling in Capri in 1880. He joined a community of ex-patriate American artists working in the classical/academic style. Herein lies my fascination with his work. 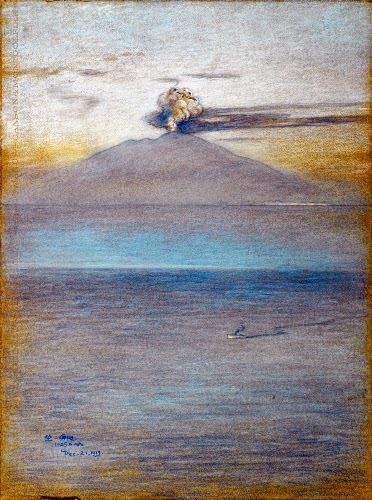 He documented many of the eruptions of Vesuvius on the mainland, including that of 1906 that wiped out the town of Ottaviano. I can’t think of a more ominously beautiful rendition of such a catastrophe. I’m sure Coleman did these studies—and that from 1913—from observation. They are absolutely, stunningly beautiful and they vie admirably with any studies of nature produced by the Impressionists! 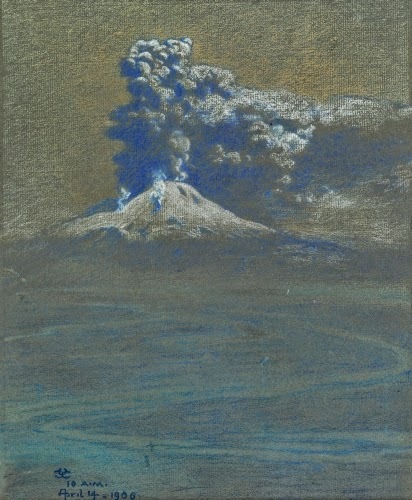 Interestingly, at the time Coleman produced these beautiful pastels, the American artists who had pioneered Impressionism in the US were slowly being considered “passé.” Go figure.